Another Yuan Devaluation Coming Up? Currency trends suggest another yuan devaluation is coming up. 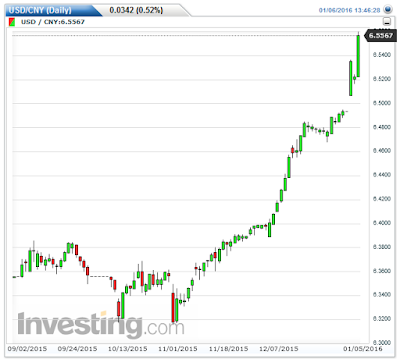 Specifically, the gap between the mainland China yuan (renminbi) to the US dollar, vs. the offshore floating rate of the yuan to the US dollar is now at a record high. The reason there are two rates is China has tight controls on the range the yuan trades in China, but the yuan floats outside China. In contrast to previous years where traders bet the value of the yuan would rise vs. the US dollar, traders are increasingly betting China will devalue. If China had no capital controls, the onshore and offshore rates would have to be identical otherwise there would be an instant guaranteed free money arbitrage opportunity in virtually unlimited size were China to maintain a peg the market did not agree with. Here are a couple of charts that show what I mean. The onshore rate is 6.5567 per US dollar. The offshore rate is 6.6993 per US dollar. The onshore yuan is weaker than offshore by 0.1426. That's a bit over 2%. In the absence of capital controls one could make an instantaneous 2% on an unlimited amount of money. That such spreads exist shows that capital controls work, for the most part, at least for now. However, capital controls are not perfect. Those able to skirt capital controls do so. One possible method of free arbitrage would be export/import trades that do not really take place, or simply padded higher. Fraud of such nature cannot be unlimited. $1 trillion in sudden exports or imports is going to get caught, but smaller amounts can be hidden. In addition, those sitting with a lot of money in a depreciating currency don't exactly like that outcome. Thus capital flight pressure is intense for two reasons. One way or another (slowly over time, or by another 2% devaluation), the yuan appears destined to sink. When will it stop? The risk, as always is that things get out of hand. Repetitive devaluations could trigger a rash of competitive currency devaluations with Japan or the US entering the picture. Yuan Movements Highlight China's Attempt to Halt 10th Month of Export Contraction; Major Currency War Coming Up? 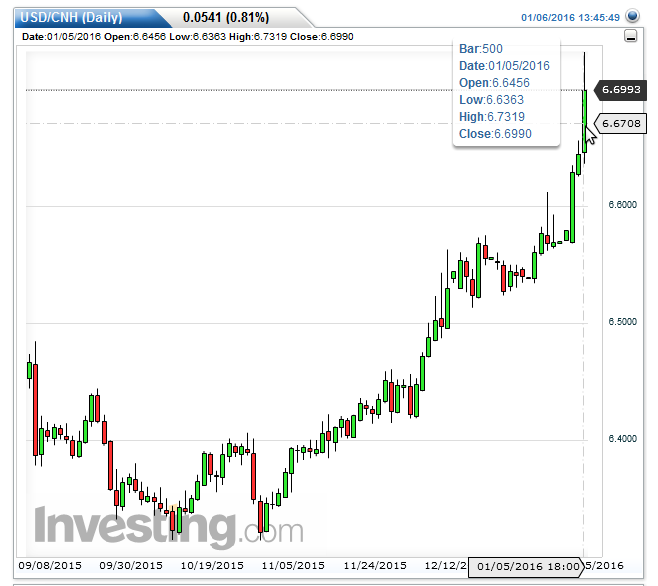 When does pressure on the yuan cease? The answer may very well be "as soon as China floats the yuan and takes off capital controls". I expect a full-blown currency crisis before that day. 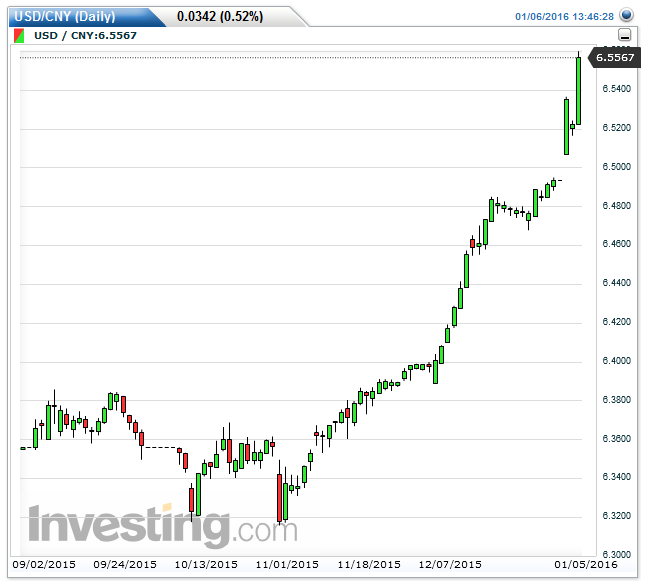 On the other hand, if China floated the yuan right now, it could crash now. Take your currency crisis poison one way or another.